This wine comes from the grapes of our organic producers. 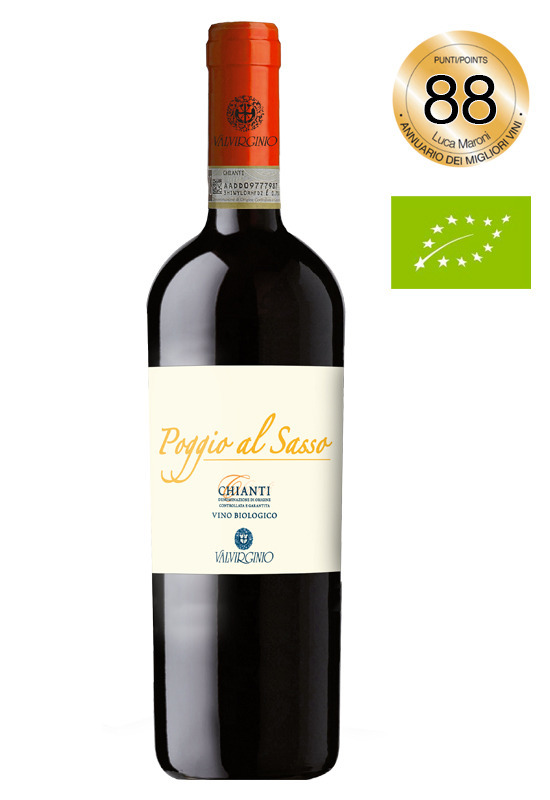 Our “Poggio al Sasso” wine is absolutely genuine and natural with 100% sangiovese grapes conferred by shareholders who have chosen to conduct their business according to the “organic farming rules” manual grape harvest and traditional winemaking are fundamental to maintain the uniqueness and characteristics of this extraordinary grape. A wine of an intense ruby red color. It’ s characterized by fruity notes very intense and persistent, obtained by a process of open winemaking, which brings out the best Sangiovese. To the palate it’ s fruity and slightly raw, but with soft and persistent tannins, with a hint of red fruits. FLAVOUR rich and slightly raw with soft and persistent tannins and with an aftertaste of red fruits.